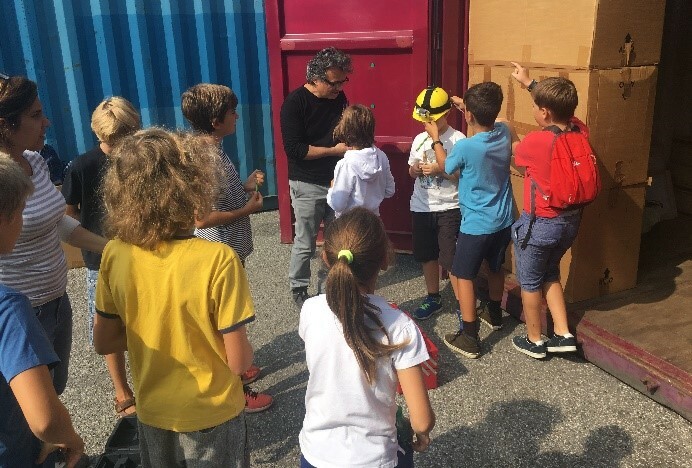 Saturday, September 22nd, the RHM intermodal terminal in Melzo (MI) opened its doors to “gifted” boys and girls: kids showing high IQ, creativity, leadership, motivation and perseverance. The visit was organized with STEP-NET - the NGO that supports the network of gifted children - and took place in two separate moments: the terminal exploration and the Mystery Box experience, where the young guests tested their skills collecting clues to complete the “escape” challenge. The young guests were welcomed at the Contship offices with a quick briefing. They then had the chance to learn more about the Group's activities, with a focus on the world of intermodal and logistics. 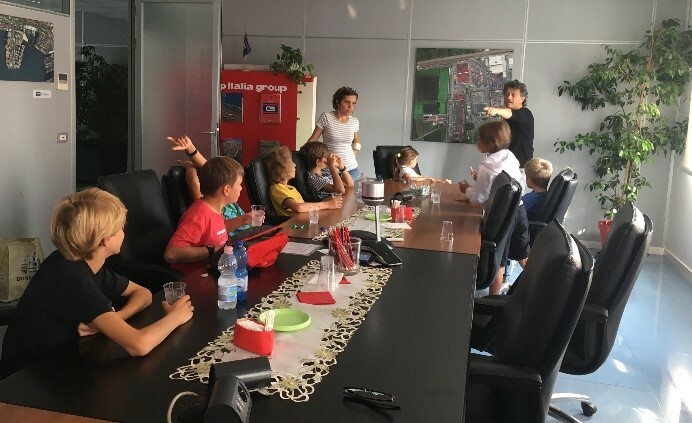 Starting from simple considerations on international trade and the routes connecting the macro-areas of production and consumption, with intelligent and timely questions, the kids discovered many fascinating details about the world of logistics, and about the activity of the Contship Italia Group. 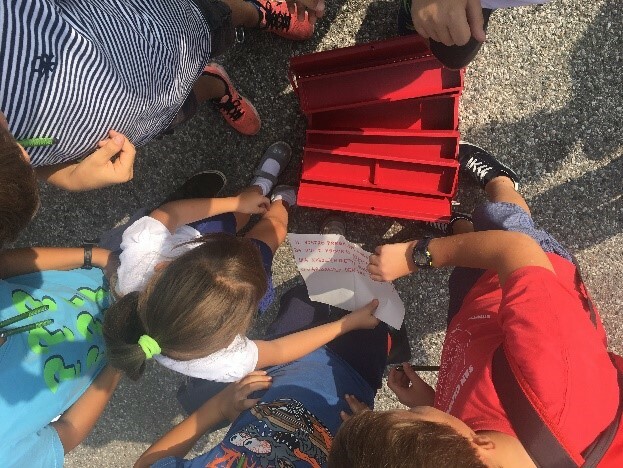 After the briefing, the group took part in a visit to the yard, which brought them under RHM’s new RMG cranes; from there, the group reached the area dedicated to the Mystery Box Experience, where a 20-foot container was set up, hiding a small office full of puzzles and clues. Kids worked in teams to identify the different combinations and successfully complete the challenges. 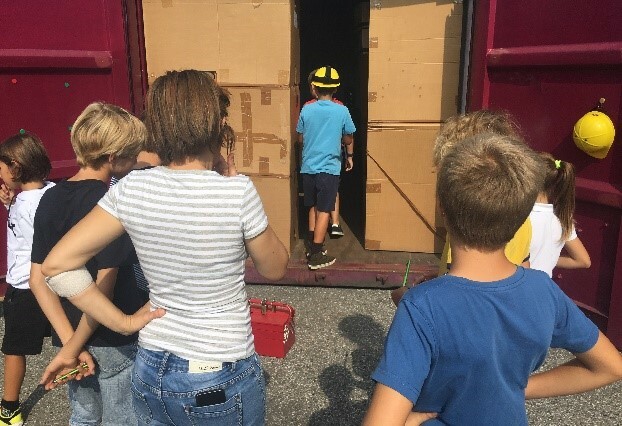 Positive feedback for the Mystery Box, too as it will now become part of the program of the Porto Lab visits to the intermodal center of Melzo, bringing new challenges and new stimuli, to make the Porto Lab experiences involving Rail Hub Milano even more unforgettable!